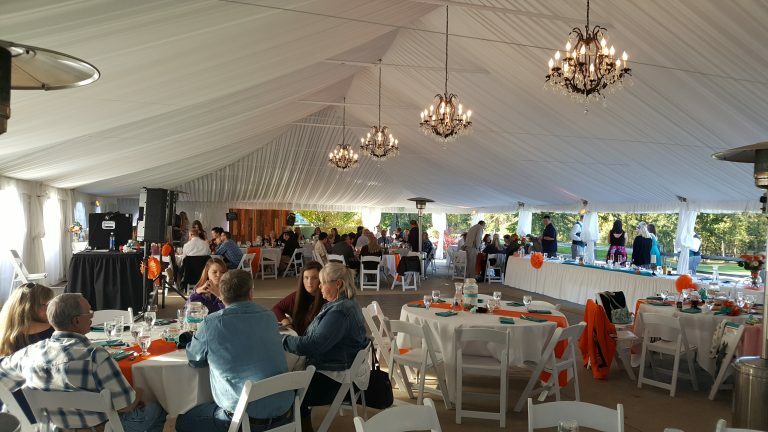 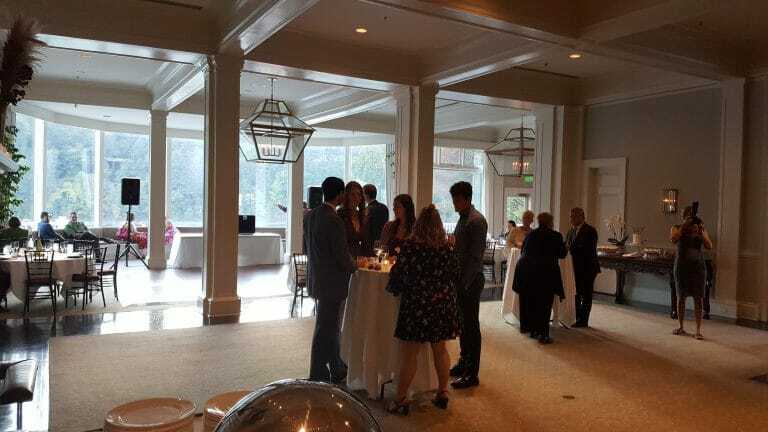 Nearly 80 guests attended Elyse and Kelby’s wedding Camas Meadows Golf Club on Saturday, October 13, 2018. 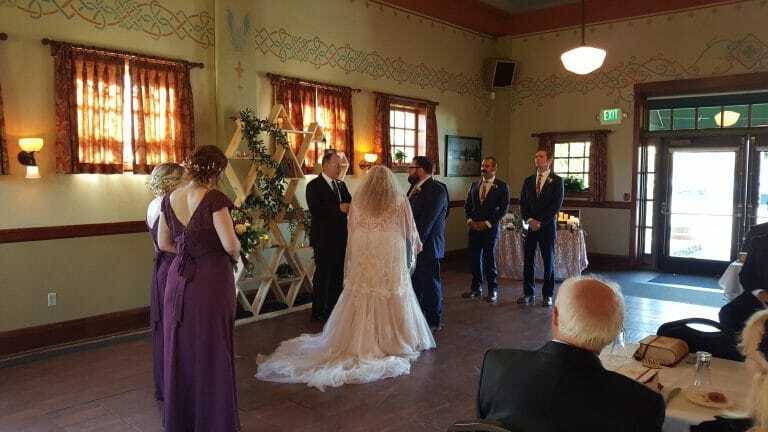 The weather was absolutely perfect for this time of year… sunshine and around 70 degrees for the ceremony that began at 3pm in the gazebo on the golf course. 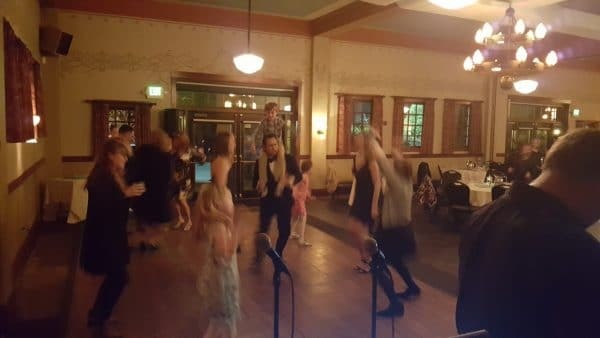 With my main sound system set-up for the reception, I used a second mixer and cordless lapel microphone to provide music and sound for the wedding. 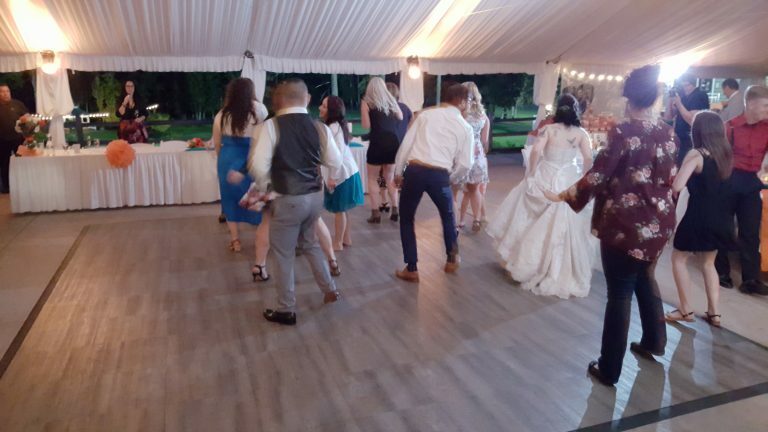 Following the ceremony, guests walked up the hill to the tent near the parking lot for the reception. 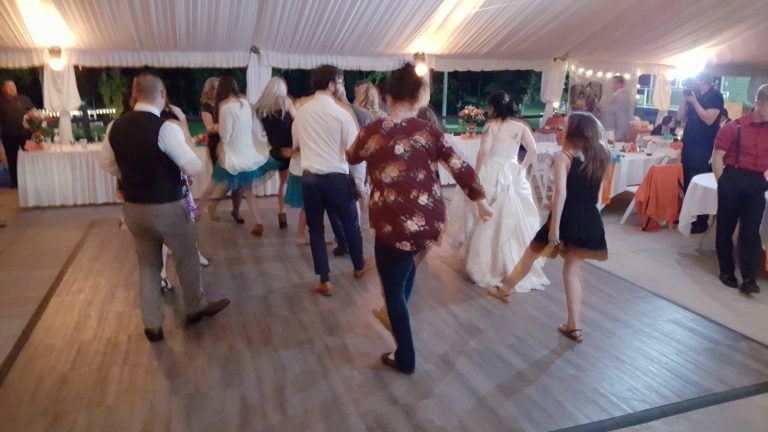 For background music, I played a variety of songs, that featured mostly country artists, such as Tim McGraw, Lady Antebelum and Zac Brown Band, as requested by the newlyweds. 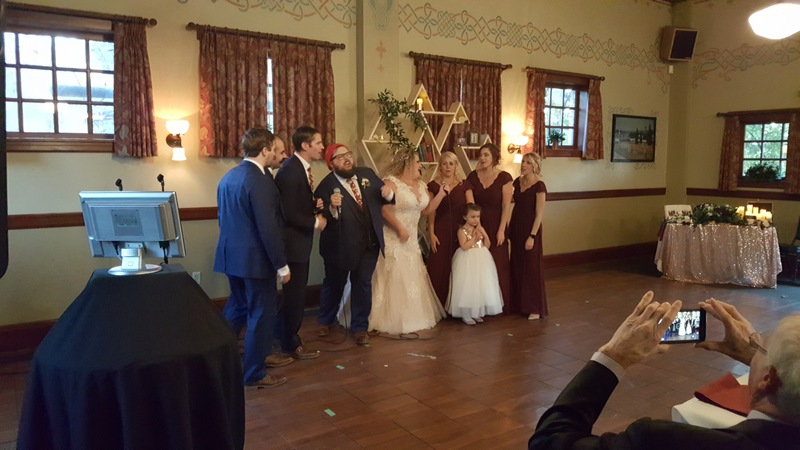 Immediate family, the wedding party and bride and groom stayed in the gazebo area for photos. 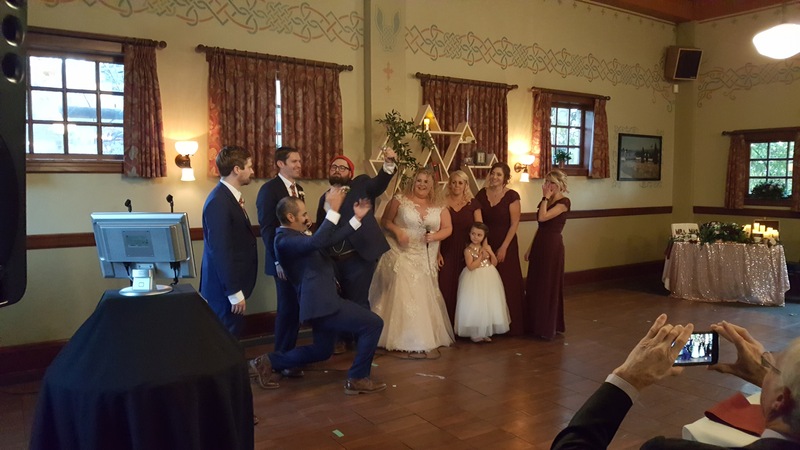 Between the cake cutting and first dance, Elyse and Kelby played the shoe game. 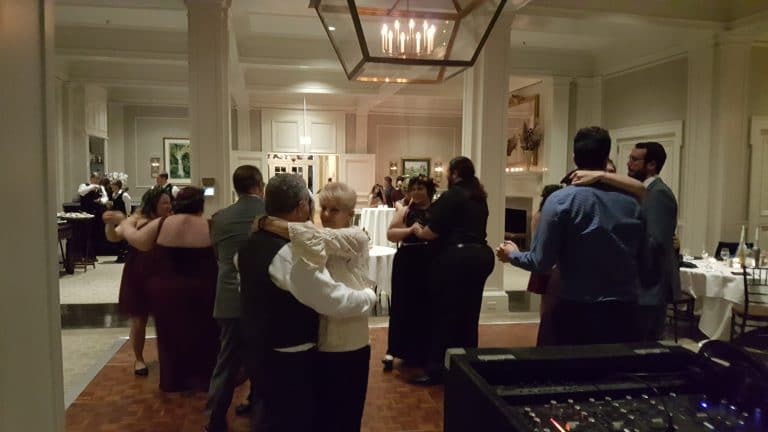 The wedding anniversary dance opened the dance floor to everyone and featured multiple couples married over 40 years. 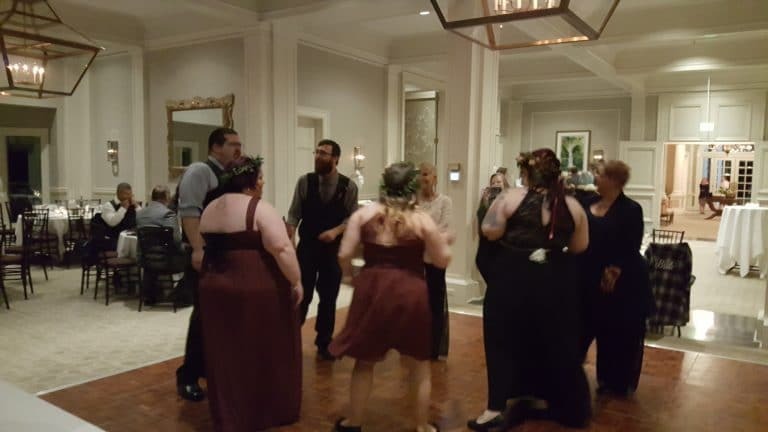 It was still early when the dancing began, so there was some ebb and flow the first 30 minutes or so, but then the bride and groom joined in and the party was under way. 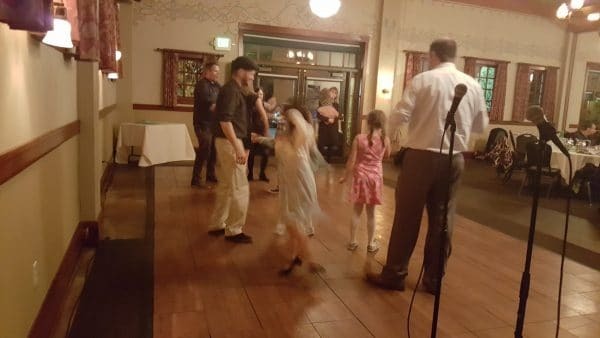 A good mix of favorites from the past like “Brown Eyed Girl” and “In The Mood” along with recent hit songs “Uptown Funk” and “Happy,” plus a request for “Cupid Shuffle” kept things moving. 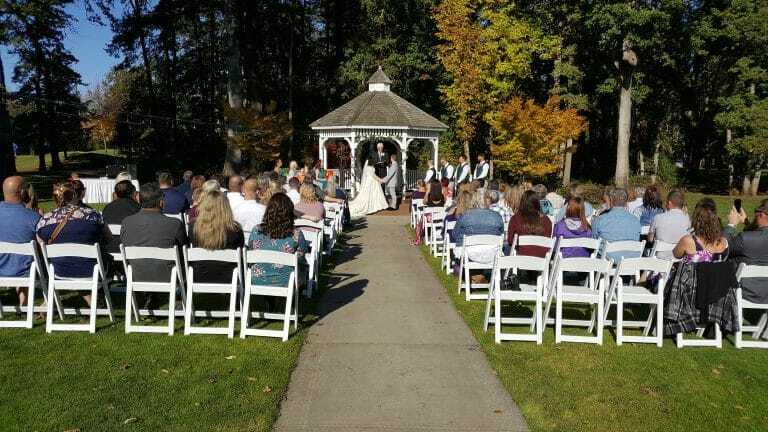 Congratulations Elyse and Kelby, who were referred to us by Jamie at Camas Meadows. 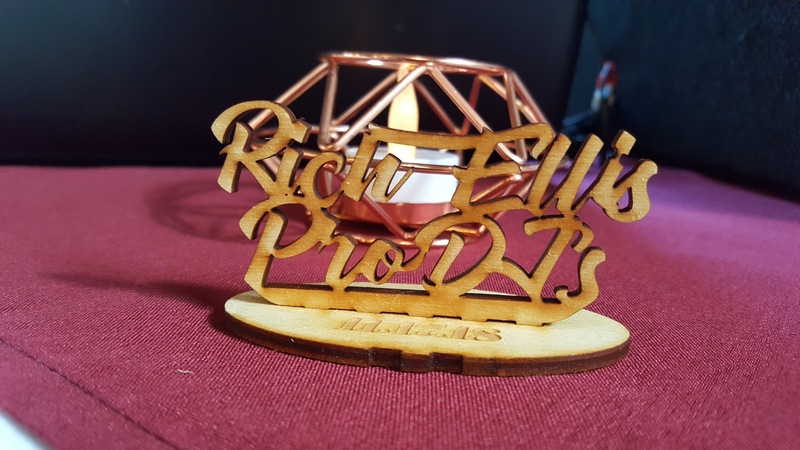 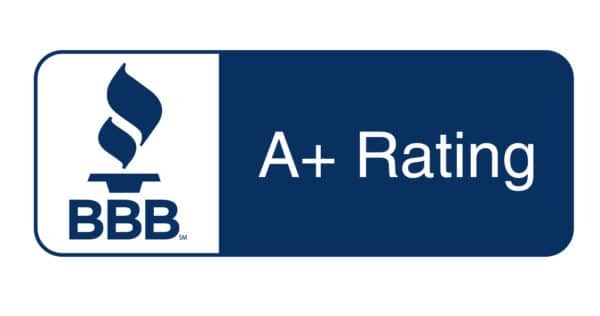 Best wishes and thank you for choosing PRO DJs. 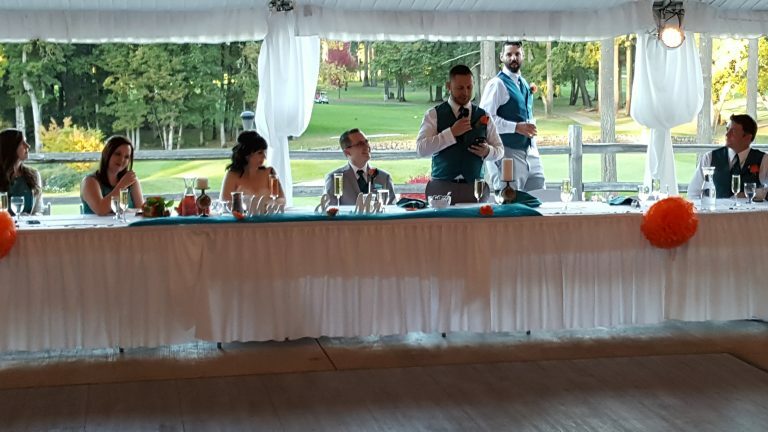 It was a perfect early fall day for Kristin and Michael’s Waverley Country Club Milwaukie wedding on Monday, September 24, 2018. 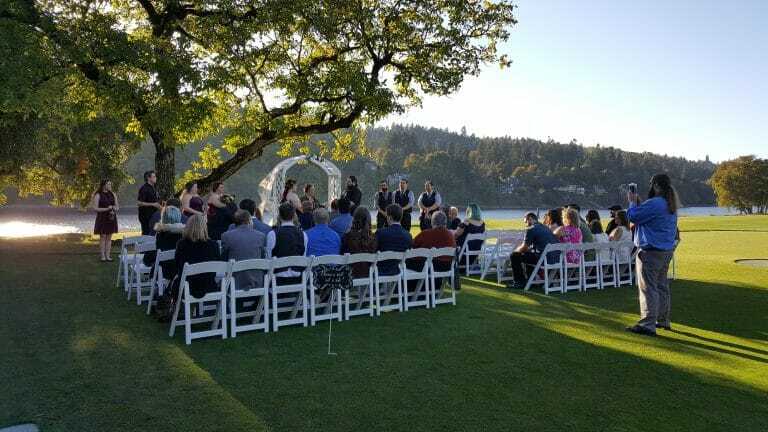 Under sunny skies and a comfortable high of 75 degrees, the ceremony was held outside on the lawn overlooking the Willamette River. 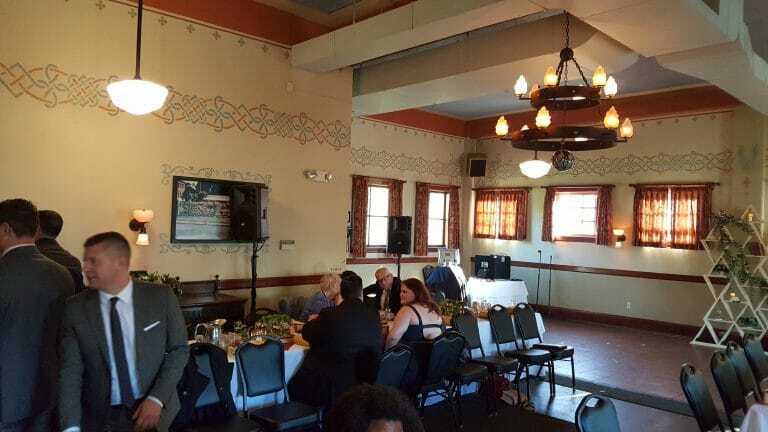 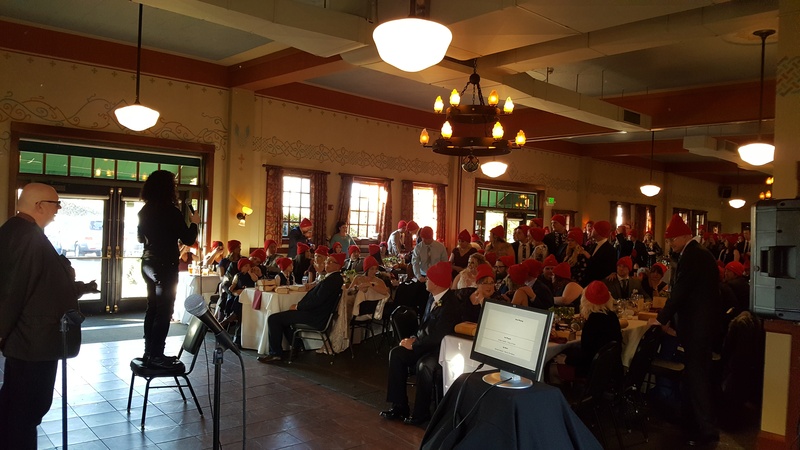 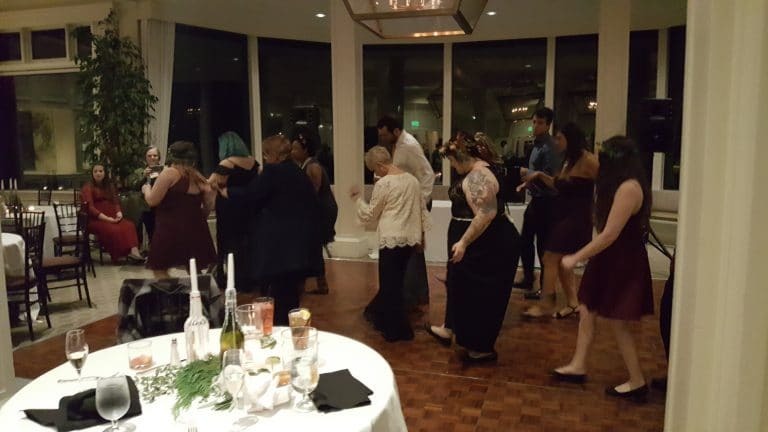 Following the ceremony, most guests gathered on a nearby patio outside, but some made their way to the dining area where I had a second sound system setup for the reception. 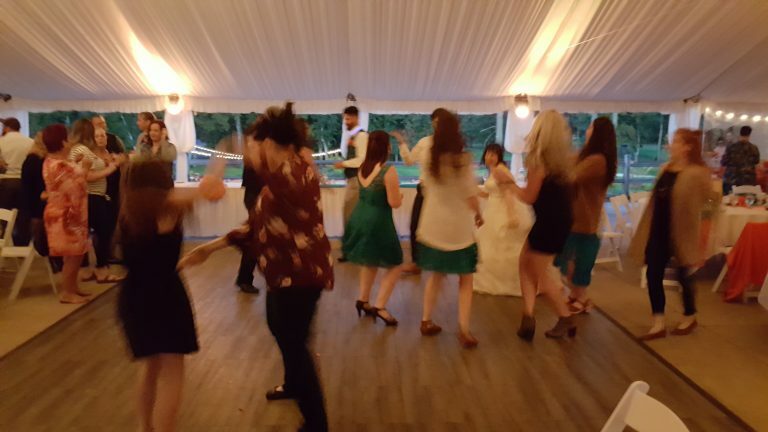 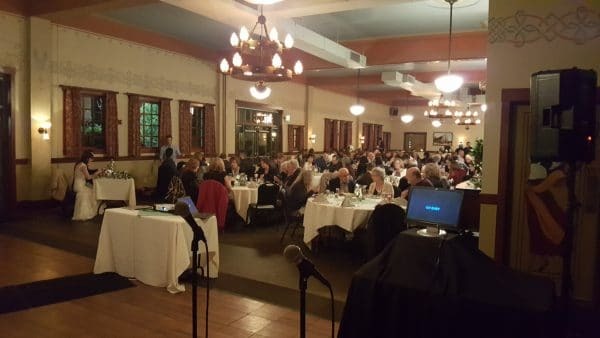 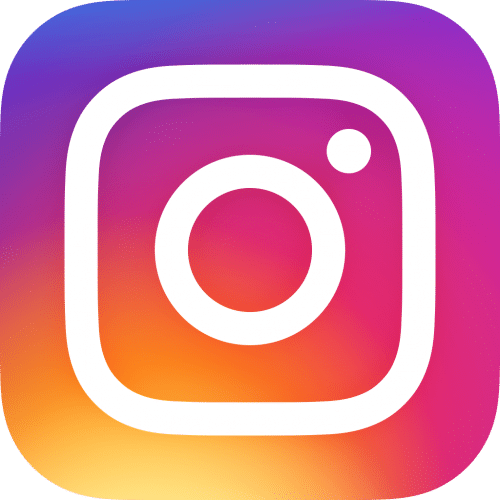 Background music was a variety of soft rock hits from artists such as Stevie Wonder, Coldplay, and bride and groom favorites, Supertramp, The Lumineers, Frank Sinatra and more. 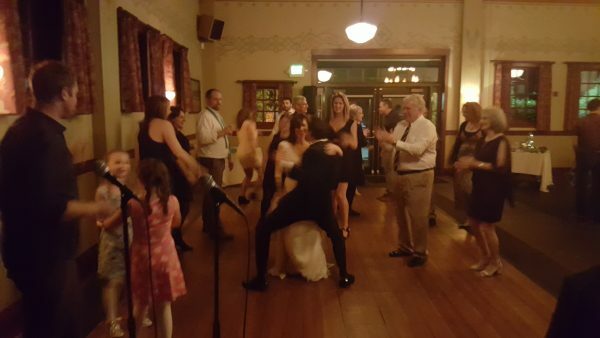 Garter Toss: Michael Jackson – P.Y.T. 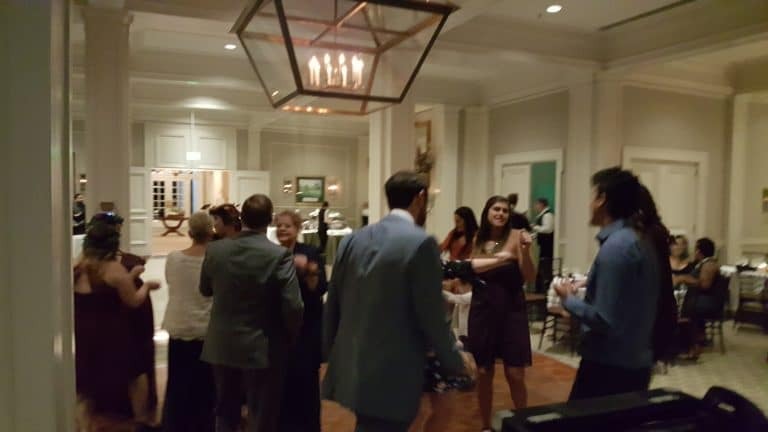 It may have been a Monday night, but judging by the dance floor, it certainly didn’t feel like it. 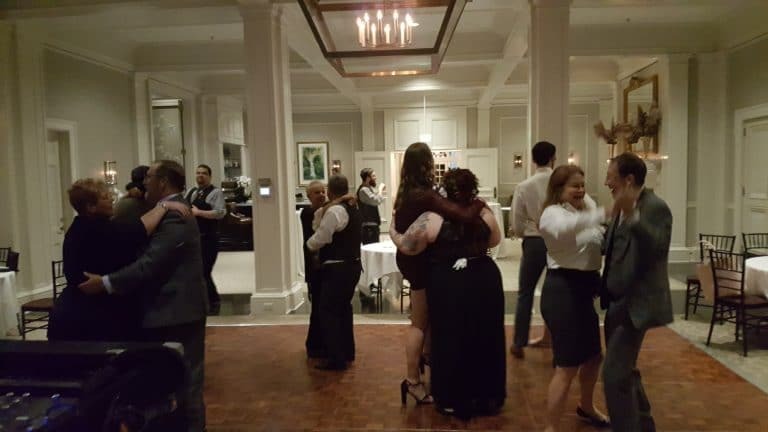 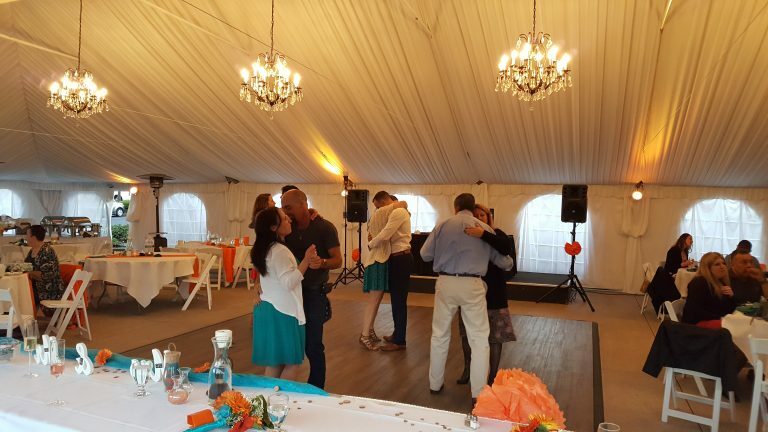 Guests were in the mood for dancing and the floor filled quickly for the opening slow dance and the fun fast songs that followed, including requests for The Contours “Do You Love Me” and “Boogie Wonderland” from Earth, Wind & Fire. 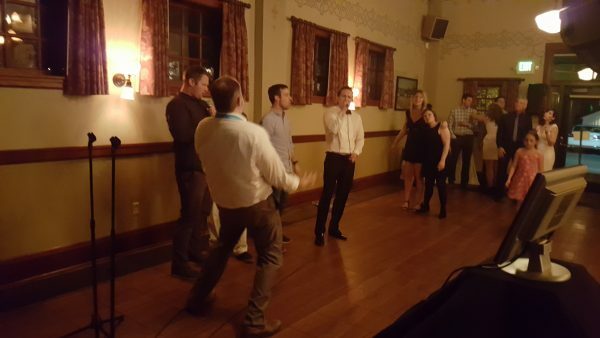 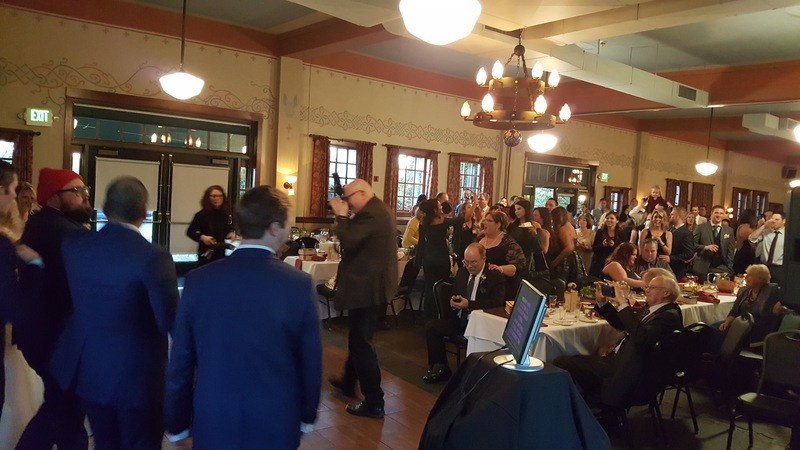 This was a fun group who appeared to have a great time enjoying the hits from Justin Timberlake, Bruno Mars and the Cupid Shuffle to Hall & Oates, Rick Astley and more.